Our company offers the best prices for those selling Silverware sets or individual flatware pieces in the Baton Rouge area. Come in to our location off of Corporate Blvd to have our professional and friendly staff examine your new or antique silverware. 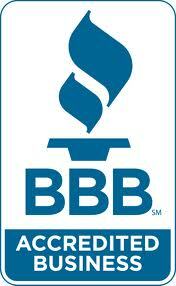 Our store is one of the best known locations in Baton Rouge for buying silverware. 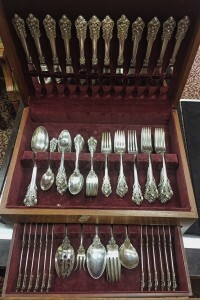 Whether you are looking to sell a complete set of antique silverware or just a single piece of flatware, now may be one of the best times in history to capitalize on the high price of silver. If you live in Baton Rouge, Gonzales, Denham Springs, Prairieville or any other parts of East or West Baton Rouge Parish, Livingston Parish, Ascension Parish, Iberville Parish come by our store in CitiPlace off of Corporate Blvd or call us today to sell you silverware for top dollar. When evaluating your silverware, we take into consideration each design and the condition. With some designs, such as Wallace Grande Baroque and Reed & Barton Francis I, we may offer you a premium if the silverware is in great condition as these patterns are more desirable than others. The condition also plays a big factor in the valuation process. Silverware in great shape without blemishes, toning, and dings may bring you more money than pieces in rough shape. When you sell silverware in Baton Rouge, you know that you can trust us to treat you fairly and offer you top dollar for you flatware pieces. Our knowledgeable staff is very well equipped to answer questions or concerns when you are selling silverware. One tip to determine if you’re silverware is made of sterling silver or silver plated is to see if the item is marked sterling. 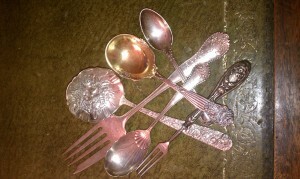 Most items that are not marked are usually silver plated unless the piece is very old and has pictorial markings. We also have the ability to perform acid tests to determine the authenticity of the metal. With other silver buyers and pawn shops, you see a lot of unscrupulous behavior when purchasing precious metals. We do not condone such behavior. We promise to offer you our best, industry leading price for your silver flatware. In Baton Rouge, Gold & Silver of Louisiana is the most reputable precious metal buyer around. We provide our clients with a safe, private, and friendly environment to exchange gold and silver for cash. Visit our store today!